Veterinary professionals have higher exposure to chemotherapy drugs than counterparts in human medicine because they are not taking proper precautions, say researchers at the Centers for Disease Control and Prevention (CDC). The CDC research project — Bridging the Gap between Human and Veterinary Medicine: Different Patients, Same Hazardous Drugs — identified the challenges veterinary professionals encounter in handling these drugs safely. In studying the risks, the CDC plans to develop training and guidance for veterinarians, veterinary technicians, and veterinary students. Deborah V.L. Hirst, PhD, acting deputy chief of the Engineering and Physical Hazards Branch of the CDC‘s National Institute for Occupational Safety and Health (NIOSH), says she hopes the project will help bridge a gap between veterinary and human medicine in use of technologies and practices that protect workers against hazardous drug exposure. “Literature has shown us that cost, time, discomfort, and inconvenience are some of the barriers for veterinary healthcare workers and handling hazardous drugs safely (1),” says Dr. Hirst. 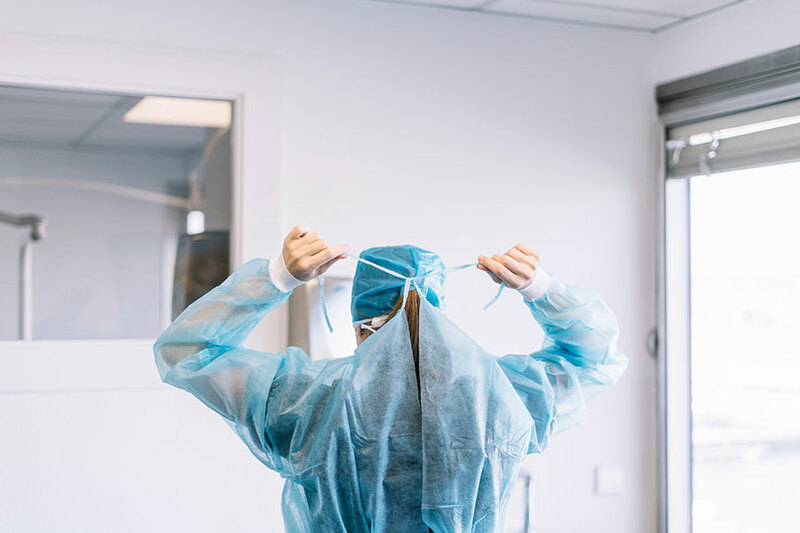 “During our research, we commonly saw workers wear disposable gowns for the entire day of chemotherapy treatments instead of disposing of them after each treatment or wear the gowns until they were visibly damaged.” They also found some veterinary professionals wearing gowns that were not rated for chemotherapy use. The researchers also noted that in some veterinary clinics, veterinary staff had to sit on the floor to administer treatment for large breed animals. “Very few hospitals we visited had hydraulic lift tables,” says Dr. Hirst. The project did find similarities between veterinary and human health workers in compounding and/or preparing hazardous drugs for their patients. “Another similarity we have found is all the veterinary hospitals we visited used ventilated engineering controls (BSCs) and supplementary controls (closed system drug-transfer devices [CSTDs]), which is what NIOSH recommends when handling hazardous drugs,” says Dr. Hirst. The 2018 project involved field studies at seven veterinary hospitals throughout the U.S. NIOSH researchers documented the practices and equipment used to prevent exposures as well as used surface wipes to sample for drug contamination. They identified and evaluated hazardous drug engineering controls, which isolate people from the hazard, such as biological safety cabinets and room ventilation. The project is funded through September 2020. Dr. Hirst says NIOSH will develop a training prototype for testing with small groups of veterinarians, veterinary technicians, and veterinary students once the project ends. Veterinarians will be able to earn continuing education credit. “I think we have a lot of good recommendations that are out there now, but they’re not packaged in a way that’s easily transferable or viewed — or accessible to the audience,” says Trudi McCleery, a health communication specialist for NIOSH. Read An Overview of Doxorubicin, including the risks associated with handling it. Read How to Prevent Chemotherapy’s Adverse Side Effects in Your Patients. 1 Klahn S . Chemotherapy safety in clinical veterinary oncology. Vet Clin Small Anim 44: 941–963.